Our exclusive range of specialised non-medical treatment products boost hair growth and promote a healthy scalp. You can prevent further hair loss by taking care of your scalp with the right products and treatments. If you are losing your hair, seek help early on as it is much easier to prevent further hair loss than to try and regrow it once it’s lost. Method of use: Apply to a dry scalp and spread evenly throughout, massage gently using circular movements. Leave to work for at least 10 minutes before washing it with CRLAB hair loss shampoo. 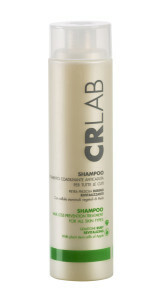 CRLAB hair loss shampoo has a strong purifying and soothing action due to a special blend of plant extracts and essential oils. Method of use: Apply to a dry or slightly damp scalp, add water to form an emulsion and spread over both roots and shaft, massage gently using circular movements. Leave to work for a few minutes and then rinse thoroughly. 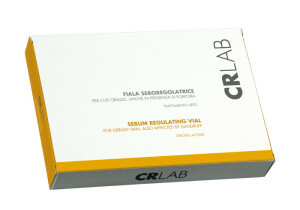 We recommend using the CRLAB hair loss prevention strong action vials after shampooing. 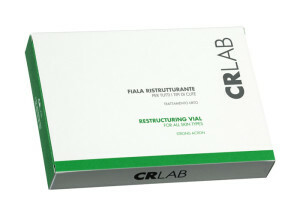 CRLAB hair loss restructuring vial is an extra strengthening treatment and is specifically designed to restructure the hair deep within, whilst simultaneous rebalancing the scalp. Method of use: Apply the entire contents of the vial evenly throughout the length of the hair and scalp. Don’t rinse. 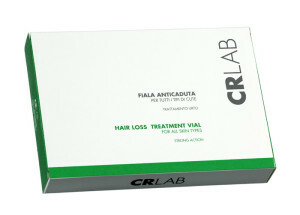 CRLAB hair loss prevention vial is an extra strengthening treatment and is specifically designed to fight against hair loss. Method of use: Apply the entire contents of the vial directly to the scalp, keeping it off the hair as much as possible. Don’t rinse. CRLAB anti-dandruff shampoo deeply moisturises the scalp and prevent dandruff building up by fighting the Malassezia Furfur proliferation. Method of use: Apply to a dry or slightly damp scalp, add water to form an emulsion and spread over both roots and shaft, massage gently using circular movements. Leave to work for a few minutes and then rinse thoroughly. 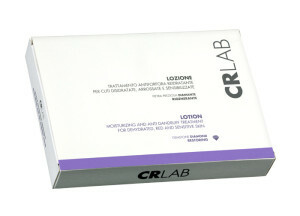 We suggest to use the CRLAB anti-dandruff lotion after shampooing. 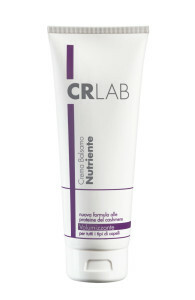 CRLAB anti-dandruff lotion for dehydrated, red and sensitive scalp, fight dandruff build up. It contains piroctone olamine that prevent Malassezia Furfur build up and juniper extracts to create a soothing effect. Method of use: With hair still wet after shampoo, spread the product directly onto the scalp, keeping it off the hair as much as possible. Massage gently all over using gentle circular movements.Do not rinse. 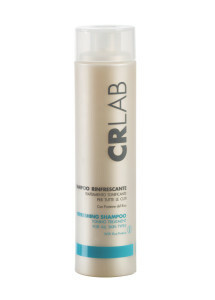 CRLAB sebum shampoo re-balances the skin by reducing excessive sebum production. Method of use: Apply to a dry or slightly damp scalp, add water to form an emulsion and spread over both roots and shaft, massage gently using circular movements. Leave to work for a few minutes and then rinse thoroughly. 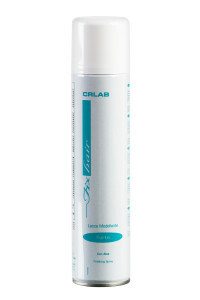 We recommend you use the CRLAB sebum lotion after shampooing. 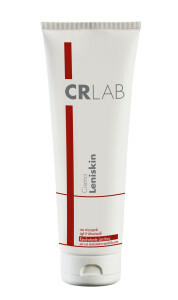 CRLAB Sebum Regulating lotion actively fights against dandruff and reduces excessive sebum production due to a special blend of plant extracts. Method of use: With hair still wet after shampooing, spread the product directly onto the scalp, keeping it off the hair as much as possible. Massage gently all over using circular movements. Do not rinse. 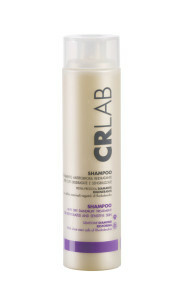 CRLAB conditioning shampoo has a great cleansing capacity. Hydrolyzed wheat proteins nourishes the hair and form a protective layer ensuring a deep restructuring. Method of use: Apply to a dry or slightly damp scalp, add water to form an emulsion and spread over both roots and shaft, massage gently using circular movements. Leave to work for a few minutes and then rinse thoroughly. 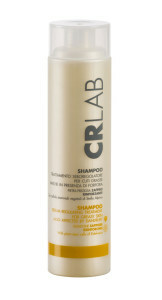 The special formula of CRLAB mild shampoo have a delicate surfactant ensuring deep cleansing. It moisturizes dry, sensitive skin and scalp and nourishes the hair. For frequent use. Method of use: Apply to a dry or slightly damp scalp, add water to form an emulsion and spread over both roots and shaft, massage using circular movements. Leave to work for a few minutes and then rinse thoroughly. 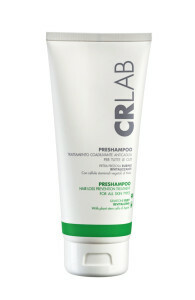 CRLAB refreshing shampoo has a synergistic action providing a refreshing feeling due to a special blend of essential oils such as mint and eucalyptus. The triple-action formula of Leniskin cream helps to dehydrate a sensitive scalp even if it is affected by dandruff. It also provides a soothing and refreshing feeling on the scalp thanks to the presence of linoleic and phytosterols. It can also be applied to the face, hands, wrists and elbows that suffer from exfoliation and dehydration as it has a sanitising effect on cells thickened by psoriasis. Method of use: Spread the product directly onto the scalp prior to washing and massage gently for a few minutes with a rubbing motion to assist in the rupturing of the micro-capsules to release the active ingredients in contains. Leave to work for 15-20 minutes. Rinse thoroughly. Thanks to the synergic action of the plant extracts, minerals and vitamins contained in the mud thermal mask, it normalises the secretion of sebum and help remove excess grease and impurities from the scalp, whilst restoring the right physiological balance. The combination of these precious elements encourages regular hair growth. Method of use: Apply the mask once/twice a week to a dry scalp and massage gently using circular movements. Leave to work for around 15 minutes. 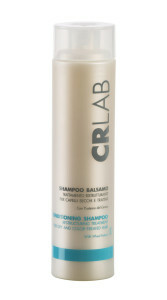 Rinse with water and wash with a shampoo from the CRLAB Line. The oil-non-oil untangles, restructures, deep nourishes and protect the hair from dehydration. It is a non-oily fluid that provides softness and shine to the hair. Method of use: Apply on dry or damp scalp, spread uniformly on the hair length. For a re-hydration action, apply after shampoo. Leave to work for 5-10 minutes and then rinse with water. CRLAB hair milk spray has specifically been designed to nourish the hair thanks to the presence of Argàn and Moringa extracts. It also protects the hair from the sun’s ultra-violet rays. Method of use: Spray the product evenly on damp or dry hair, proportional to hair length. 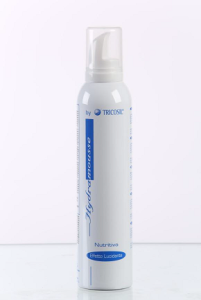 Conditioning biphasic spray gives shine and provide hydration to the hair. It protects and repairs hair from weathering agents and from permanents and colourations. Method of use: Shake before use and spray directly onto wet or dry hair. Nourishing conditioning cream is a softening cream suitable for all hair types. Thanks to the cashmere proteins, it provides strength, shine and volume whilst eliminating static electricity. It also facilitates untangling and reduces the problem of split ends. Method of use: Apply nourishing conditioning cream to wet hair, after shampoo. Leave to work for 10-12 minutes and rinse. Fix hair spray defines your hairstyle, offering it firmness without weighing it down. Its Panthenol-enriched formula protects hair and ensures flexible hold without buildup. It softens and moisturises hair thanks to the Aloe’s active ingredients. Method of use: Spray on dry or slightly damp hair from a distance of about 20 cm in order to obtain perfect hold in just a few seconds. Hydra mousse is perfect for treated hair as its formula is enriched with soya and keratin proteins. It moisturize whilst restoring elasticity and shine. It also makes for an ideal no-rinse conditioner. Method of use: Shake well before use. Use fingers to spread the product all over wet or dry hair, style and dry as normal. SLS/SLES FREE The CRLAB products are formulated without SLS and SLES (Sodium Lauryl Sulfate and Sodium Laureth Sulfate), which are considered aggressive and potentially irritating surfactants. 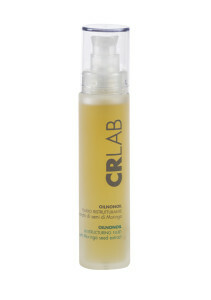 PARABENS FREE CRLAB use well-studied compounds avoiding possible unsafe substances such as Parabens. 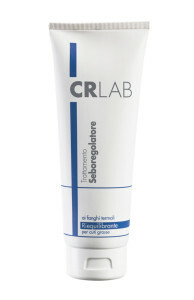 DERMATOLOGICALLY TESTED The CRLAB products are dermatologically tested by an Italian University to ensure the best wellness to you.